Please note that scripting does not work in web preview and Android players because they display web content in an iframe element (whereas other players use webview element) that does not support this functionality due to how web security works. Scripting is supported in Windows, Linux, Mac and Chrome extension (ChromeOS) players. Usually vertical is the axis we want to scroll. In this case we scroll 500 pixels vertically, but you need to experiment with the numbers to find appropriate amount of pixels to scroll to. The scrollTo function call is wrapped in setTimeout function call, this delays the code execution to make sure page is loaded. In this case we delay execution by 1000 milliseconds, however depending on how the website is built, it may not be necessary. You can try setting the value to 0 and see if the page scroll still works. This script forces to page to refresh every 60 sections. It’s worth noting that it calls setTimeout that is executed only once, however since the script causes the page to reload which executes scripts again, so there is no need to use setInterval. Script can be used to start a video in the page. This example will wait for the page to load 1 second, get all <video> tags, take the first one and call play() function on it after. If the page has multiple video tags, this would start the first video it can find. 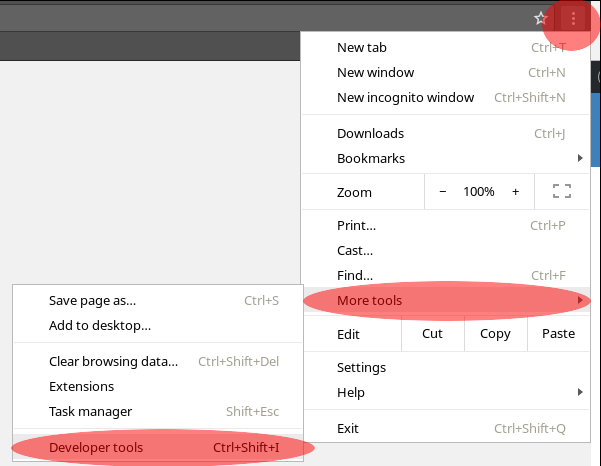 Now from the developer tools pane that just open up select “Elements” tab if not already selected. Then click on the select element button (step 1) and mouse over the username input field and click on it (step 2). The HTML code will be highlighted that represents the username field, it should be an <input> tag. Most website creators assign a unique ID to that field that we can use to reference it in the script, in this example it is “user_login” (step3).